Different segments of the horticultural industry certainly will look at things differently. For me and my plant health care business, the wetness has been an issue but the cool weather (here in southwest Ohio) has greatly slowed down the phenological progression and kept my life sane. Nothing more insane in plant health care than a series of 80 degree days in March with plants and insects going through their phenological progressions in hours rather than weeks. We had that about 6 years ago, with black locust trees coming into bloom in early April compared to the average of mid-May. That was a nightmare! So, I am mostly enjoying this spring, at the expense of garden centers, I guess. I suspect orchards in my area are happy that most fruit trees will be budding late. Thank you for the information, as always, it is helpful to read these different perspectives. Great observation, Ronald! Despite my disgruntlement at not being able to work in garden, an upside is our Northern highbush blueberries (2.7 acres of you-pick) are still holding reasonably tight – though some buds are popping – and we were 28 F last night. 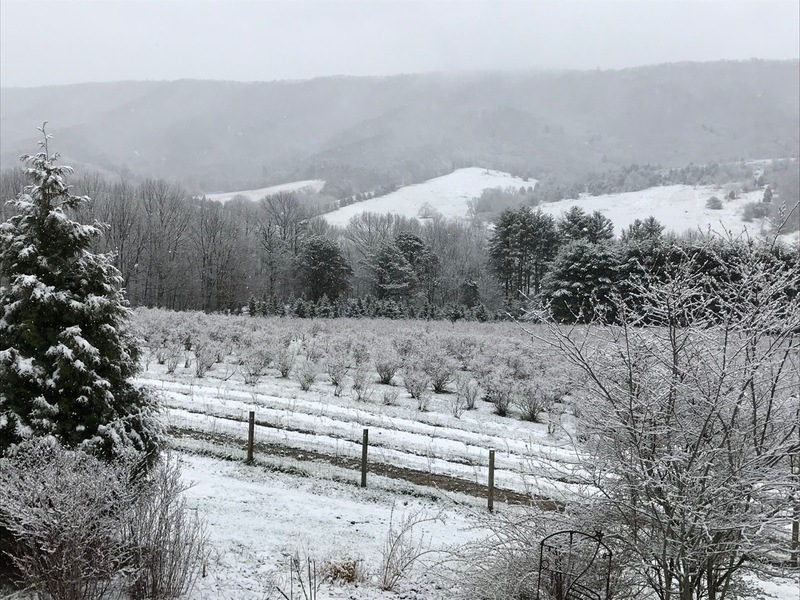 Last spring was entirely too warm too fast, and there was a lot of damage to orchards across Virginia when a not-that-unusual freeze of a couple days in a row occurred mid-April. 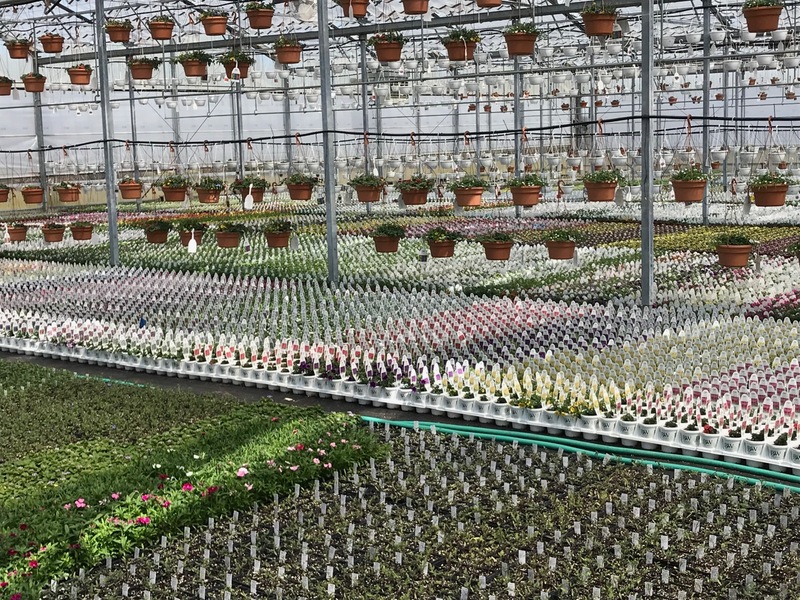 A garden center in northeast Kansas – latter half of March the over-wintered stock comes out of the hoop houses. The semi’s start unloading new stock. April 1 – Cold, snowy, 19 degrees overnight. Everything goes back into the houses. A few days later, it’s warm, and everything comes out again. April 7, another cold front – mid 20’s overnight. Everything goes back in. It warms up, and a lot – but not everything this time! – comes back out. April 14th – mid 20’s again, everything back in. Brian, I am so sorry. Most nurseries in the Mid-Atlantic would have normally removed their poly film by now (many haven’t), so I can’t even imagine how behind things are in Kansas. And I do believe that saying – especially the farther into “spring” this cold weather is pushing. Gardening has become such an “OMG SPRING” thing for so many people, that if those purchases don’t happen prior to Memorial Day (or schools getting out), it just doesn’t happen. More experienced gardeners, of course, realize it’s a multi-season effort (to reap year-round rewards!) but again, garden centers and retail growers do rely on that spring-impulse crowd for a good portion of sales. Thanks for the report, and best of luck for the rest of the season! Southwestern Ontario here. We have been experiencing a colder than normal spring so far. I have been going to the local nurseries seeking reassurance that spring is coming. They hardly have anything out to purchase yet. Right-o, and see Brian B.’s great comment regarding the nursery/hoophouse factor. But thank you for your efforts!! Keep trying! Thank you for your efforts, Margaret. Hang in there! And see Brian’s comments regarding the hoophouse struggles. I saw that as well. We had snow last night (again). Currently hunting for small bit of real estate in Florida (that won’t be underwater in 20 years). Sigh. Much of what Brian said applies to us as we overwinter a lot of stock Outdoors we have just had to hold off in getting too much product from our Growers, this is just crazy so far. My poor hanging baskets in our on heated greenhouse usually are doing great by now they’re barely blooming.